Sidetracked by the divisive negativity online and in the media, I felt out of balance and out of tune with God. Noise and distractions scream for attention, and trying to find a harmonious balance seems nearly impossible. Needing a soul tune-up, I ran to my office to read my Bible. I’ve been a Christian for decades, yet verses and words will still seem to pop off the page. I can even have a verse underlined with notes beside the scripture, and as I read the verse again there will be a new truth that resonates in my soul. Just as a tuning fork resonates with a pure musical tone, the correct pitch, the Holy Spirit resonates in our spirit to help tune-in to God and His pure Truth. The Holy Spirit is the Comforter, Counselor, Helper, Intercessor, Advocate, Strengthener, Standby, to teach us all things, the profound depths, divine counsel, the deep things of God. 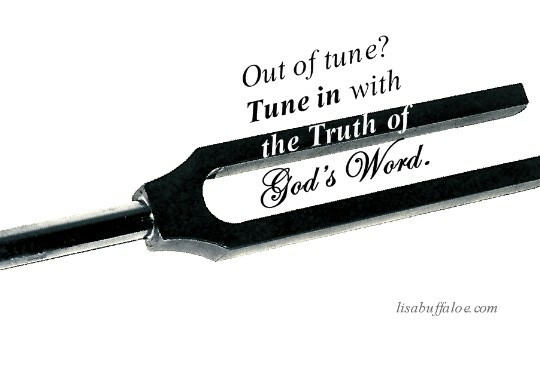 Need a tune-up and a tune-in to God? God’s word is Truth, and Jesus says the truth sets us free (John 8:32). Even in the noise and distractions, soul balance can be found in God. Read God’s word and ask the Holy Spirit to teach the things that will comfort you, counsel you, help you, intercede for you, advocate for you, strengthen you, and stand by you so that you may learn the deep things of God. Whatever is out of tune will be brought into correct pitch and pure harmony with the freedom found in the truth of God’s word. What does the Holy Spirit do for believers? How does the Holy Spirit reassure you as a believer? In what ways does the Holy Spirit help and gift you?